PBS showcases Rebalance IRA on the award-winning finance show Wealthtrack. 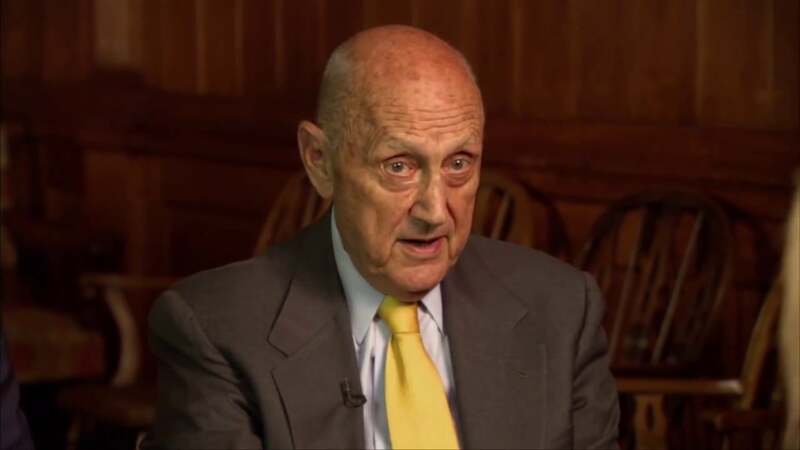 Host Consuelo Mack sits down with Mitch Tuchman and Professor Burton Malkiel, a key member of the firm’s Investment Committee, to discuss retirement investing best practices. Mitch Tuchman: We’ve only made one modestly significant change to the portfolios in several years. So, it’s not like we sit around and change percentages. We made a decision to boot out the aggregate bond index for an intermediate high-grade corporate bond index. We’re not making changes, but we do rebalance, so that’s to your question. Consuelo Mack: And how often does that happen, it depends on the markets? Mitch Tuchman: Well, it’s both actually. Mitch Tuchman: So we do a calendar rebalancing every year for all the clients. Mitch Tuchman: Well, if you are not taking distributions, we have clients that are over 70 who are taking distributions, that happens in November like clockwork. If you are not taking distributions, that happens about right now like clockwork because people are contributing to their IRAs. So, we do a calendar rebalancing for everybody, depending upon whether you are distributing. Mitch Tuchman: And then second there is usually a volatility rebalancing and that happens because the markets begin to ebb and flow and things get dicey and sometimes the allocations move past a threshold and when they do that, alarm bells are triggered and it’s time to do a rebalancing for most all the clients, and that’s what we do. The important thing about rebalancing is that it always answers the question for the client – well, what are you guys going to do when you think the markets are going down, what are you going to do when you think the markets are going up, what are you going to do, what are you going to do? And that helps clients understand that we’re not sitting around with a crystal ball predicting the future, going which way is the wind blowing and trying to make a guess. That we have a process, and the process is the process, and it’s why large endowments and foundations get great returns. They run under a process. And knowing there is a process helps our clients feel that these guys are not going to make wild guesses, there’s no cowboys, and it really gets down to peace of mind for the clients.